The colors for this school are, as I remember, simply.....ummmmmm...red and white. The school does, however; have a club called "The Crimson Club" and crimson could be an entirely different color from this red. Additionally, I have recently seen the football team and fans wearing black with a hint of red or crimson. Hmmmmmm...makes a freaky color conformer, like me, very confused. 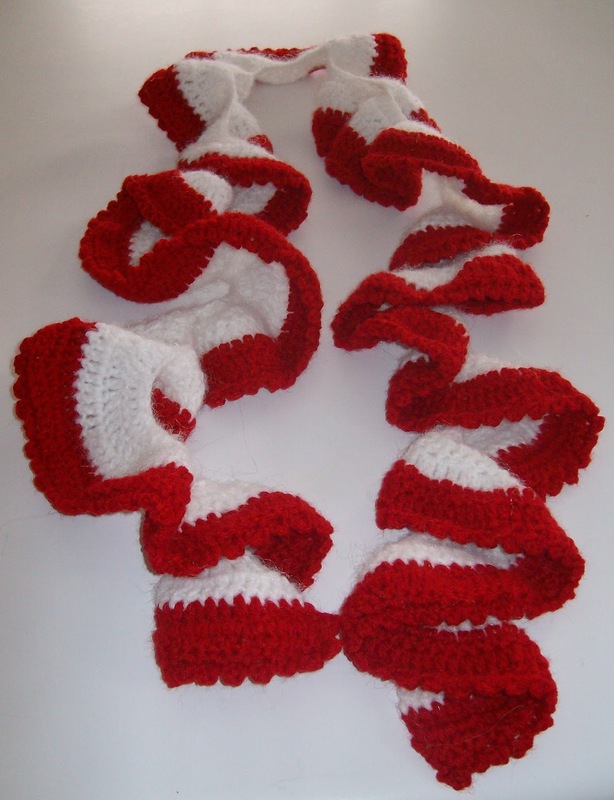 Free Curly Scarf Pattern from Lion Brand. #6a and #6 wearing their alma mater scarves. Boy, am I ever proud of and do I ever love these kids! Lovely scarves and lovely family!! Thank you so much Gillian and Annemarie!